Which Ford Transit Will You Choose? When it comes to finding a passenger wagon for your family or business, you want to make sure that it has the capability to get you to your destination and flexibility for your changing needs. Our team here at Chiefland Ford in Cheifland, FL is excited to present the 2019 Ford Transit. If you’re like many car buyers that are apprehensive about purchasing a used vehicle because you never know what you’re getting other than a vehicle with little to no warranty, you probably haven’t heard of the Ford Certified Pre-Owned program. Stop at Chiefland Ford and allow us to explain how the program works and show you the wide selection of available vehicles. The Ford Super Duty tries to live up to its name. The pickup truck presents a tremendous amount of power. Drivers in need of a truck to perform serious work will find the vehicle's capabilities impressive. Maybe you need to put a lot of heavy materials in the bed of your pickup truck. The Ford Super Duty comes with a best-in-class payload capable of accommodating up to a max of 7,640lbs. Incredibly, the vehicle's body weight comes with a 350 lb. reduction. The designers did make the frame 24x stiffer, which supports increased payload carry weight. Ford understands that your needs for transporting passengers in their stylish Transit Passenger Wagon may change on a day to day basis. That's why this popular full-size passenger wagon offers the versatility you need to fit your specific lifestyle. New passenger seating options in the 2019 model are among the features providing you with more versatility. 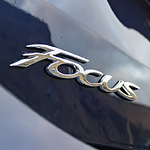 Which Focus will you drive away with? A compact vehicle doesn't have to mean sacrificing performance, and the 2018 Ford Focus is no exception. Our team here at Chiefland Ford is excited to introduce this popular compact car and the wide range of options available. If you work hard, you need a vehicle that is ready to support you. The Ford Ranger is a perfect choice. 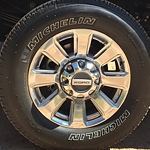 It has durable features that will keep you on the road when you need it most. Tough road conditions are no match for the Ranger's independent, double arm front suspension. 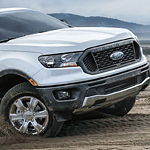 This specially engineered component keeps the Ranger under control on rough terrain. The monotube shock absorbers are pressurized with nitrogen gas. This helps the shocks absorb even the biggest bumps on the road. All in all, the Ford Ranger has a suspension you can count on.